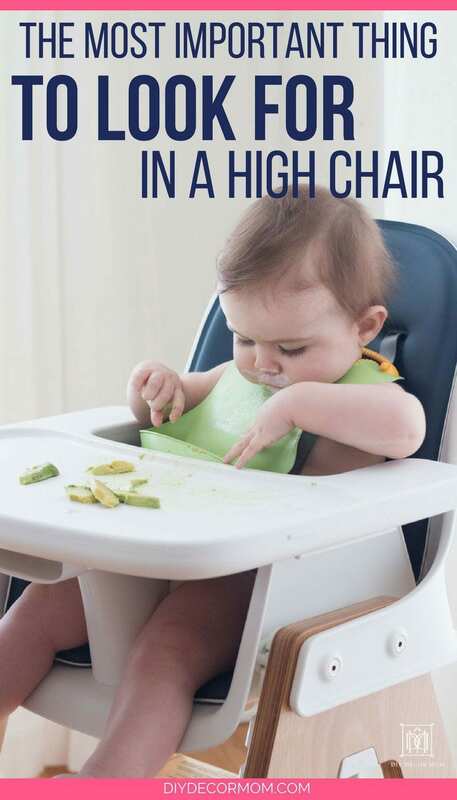 High chair easy to clean: the number one thing you actually need when your baby starts eating solids is a high chair that is easy to clean! 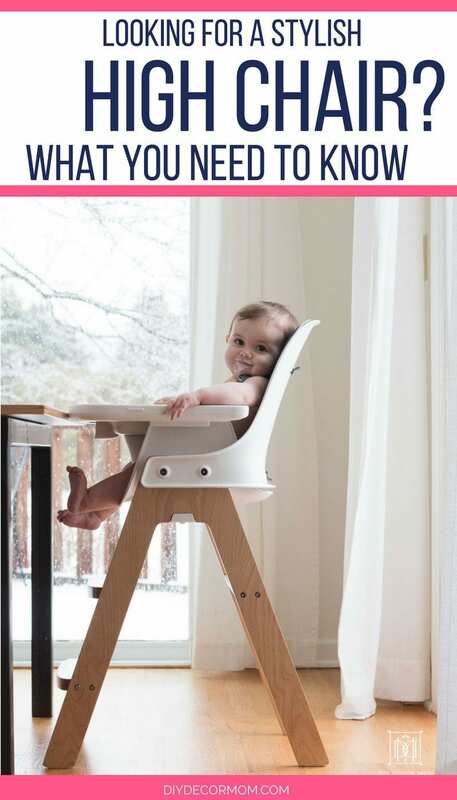 Here are the top things to look for when buying a high chair for your baby who is starting solids! *this is a sponsored post in partnership with buybuy BABY all thoughts and opinions are mine alone. There is nothing worse than buying a high chair only to realize later that it is difficult to clean and keep clean! 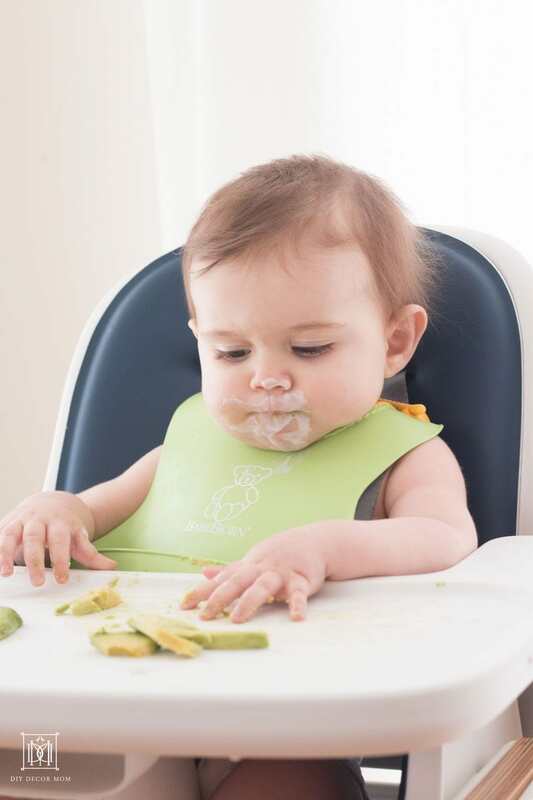 Feeding babies solids can be super messy, especially if you are practicing baby led weaning like we do. That’s why I have a very strict rule about our high chairs–they MUST be easy to clean! 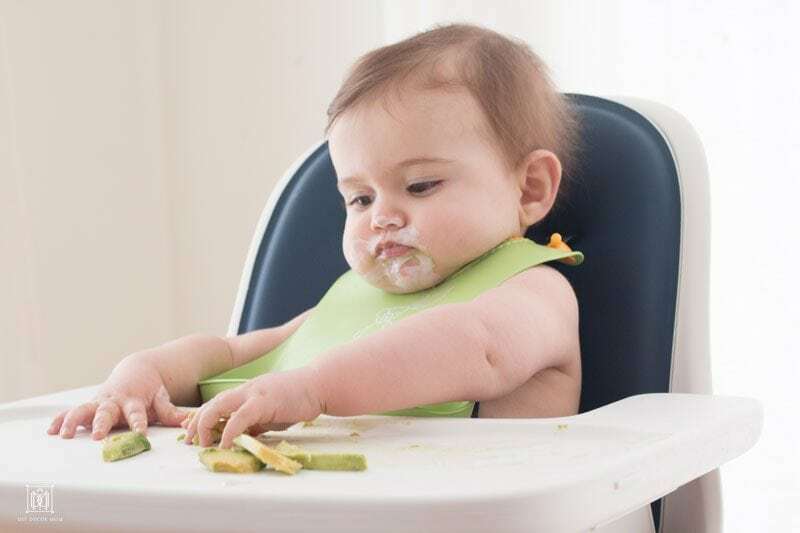 Because here’s the thing: whether you decide to do puree feeding or baby led weaning, kids are going to get their hands into the food, into their hair, into the seat cushions (if there is one), around the tray, and on the floor. Heck, we even have had our kids get food on the walls, on the curtains in our breakfast area, and on the ceiling in one very enthusiastic wave of the fork. 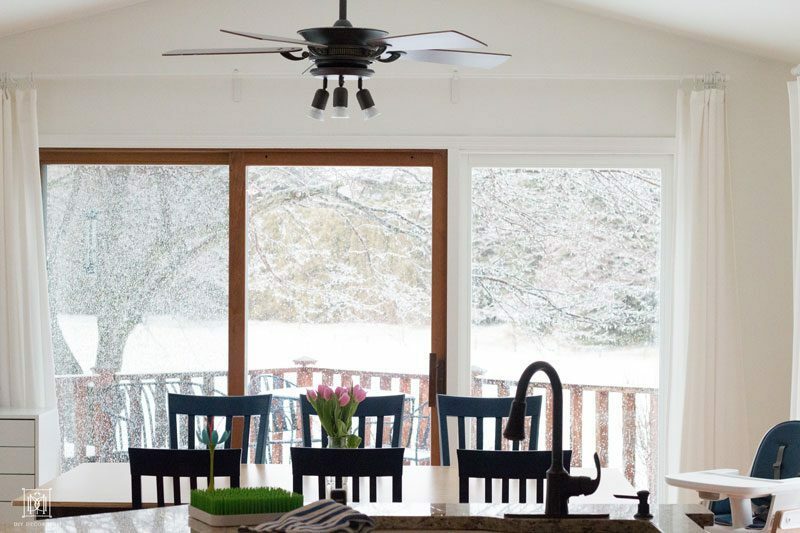 I wish I was kidding, but I believe there is actual photographic evidence of me cleaning sweet potato puree off the ceiling in our breakfast room. 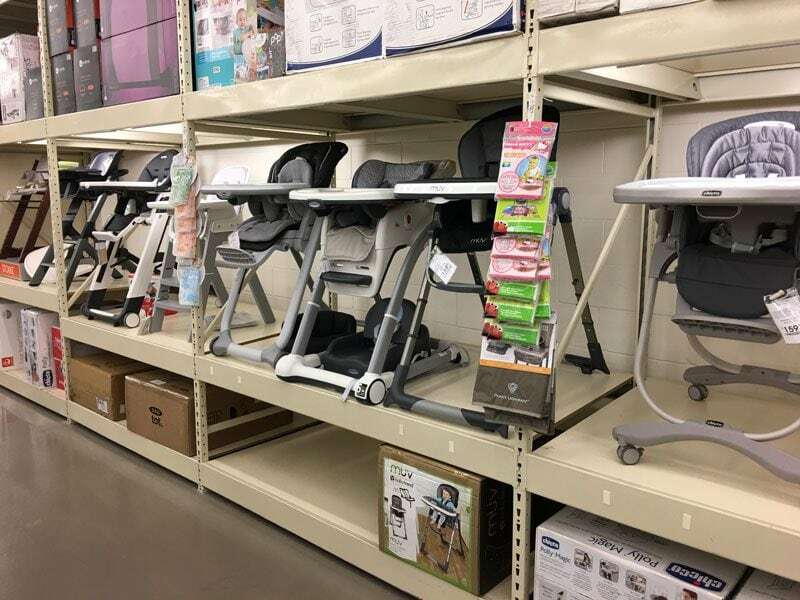 You can expect to spend anywhere from $19-$750 on a high chair. We have had an inexpensive apartment-friendly $35 high chair, a $70 travel high chair, and recently upgraded to my favorite so far, a $250 one. It all depends on what you want from it. I highly recommend registering like we did at buybuy Baby. Why? 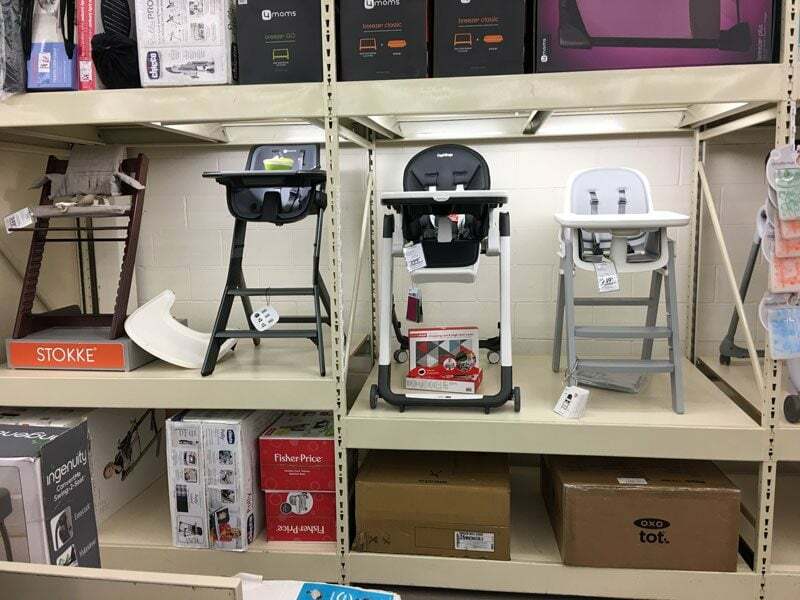 Well, they have an amazing assortment of everything you need for your baby, including a huge assortment of high chairs. The best part? You can touch and feel the products for yourself before you make a decision. 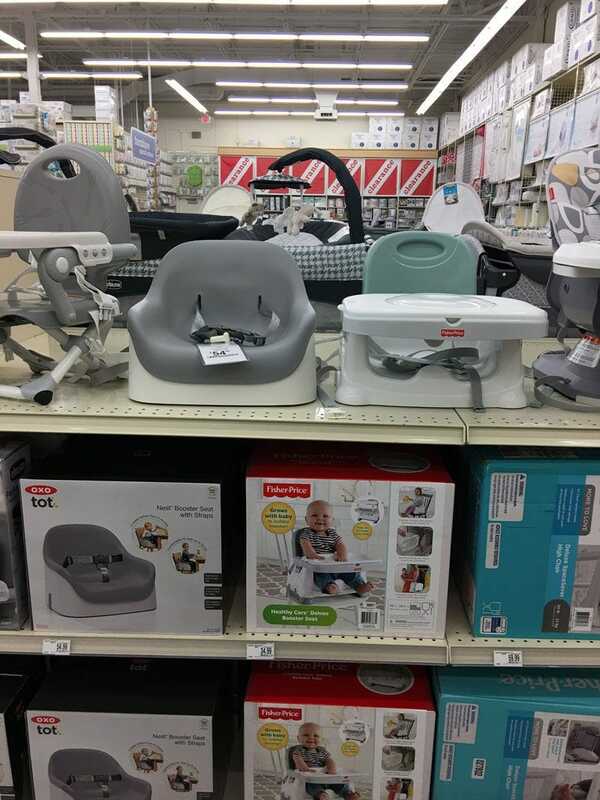 When we bought our travel high chair, we initially were going to buy another brand; but then when we were in store we realized we liked another one so much more after seeing it in real life. You can see the high chair we had for four years above right! 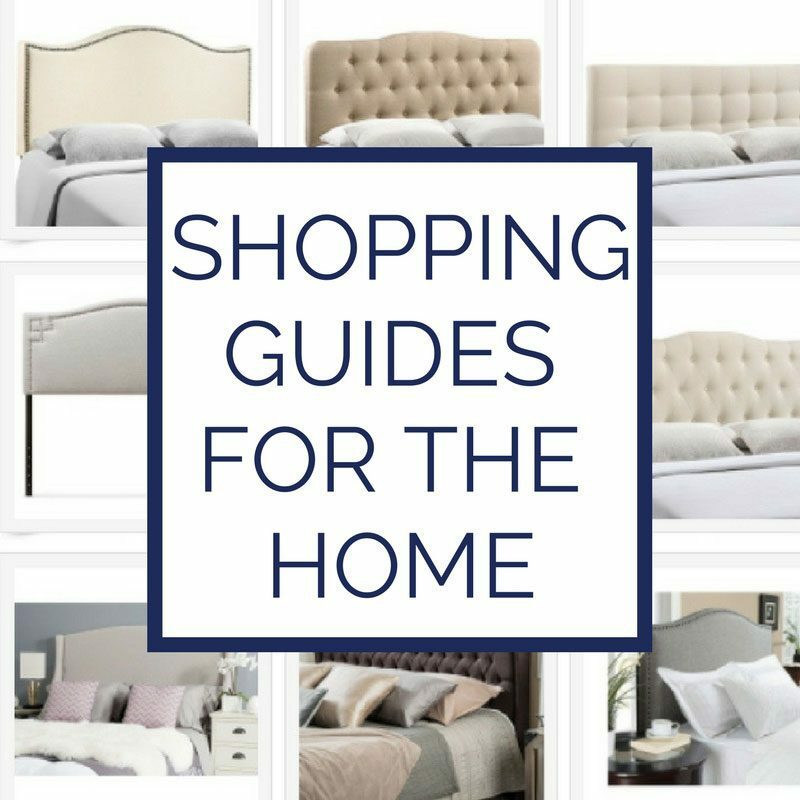 buybuy BABY has a price match guarantee, hassle free returns and has fantastic registry-building tools that make it easy to add gifts and to build your registry with friends and family. 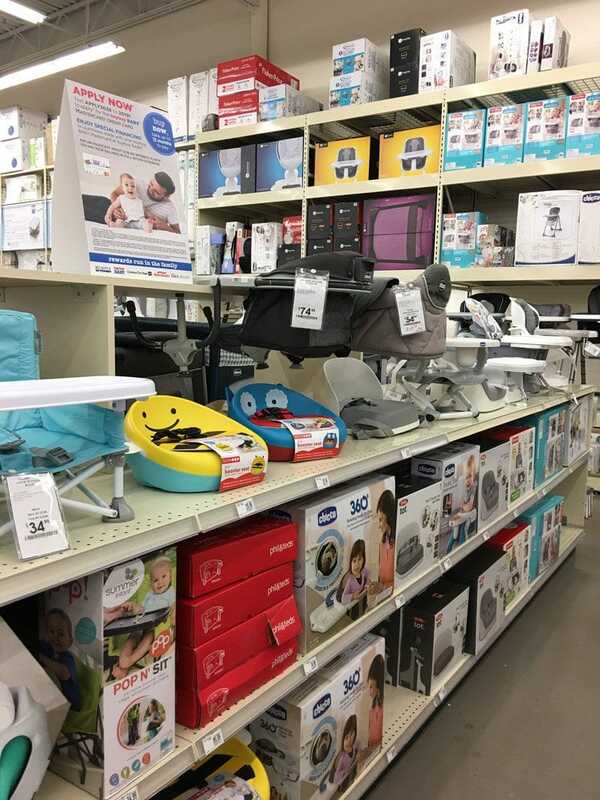 Plus, when you register at buybuy BABY, you get a Goody Bag full of great samples and coupons which you can pick-up in-store. With buy buy BABY’s Free Shipping Rewards Program, you can earn unlimited free standard shipping for your baby’s first year! 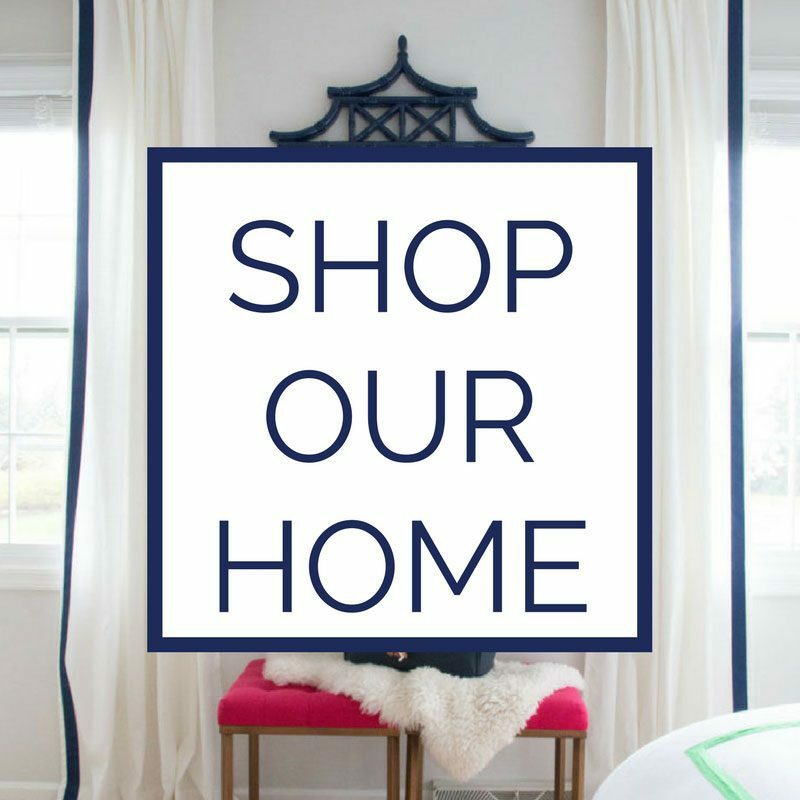 See why I recommend you register at buybuy BABY? REMOVABLE CUSHIONS YAY OR NAY? Look for removable cushions if you must have them. 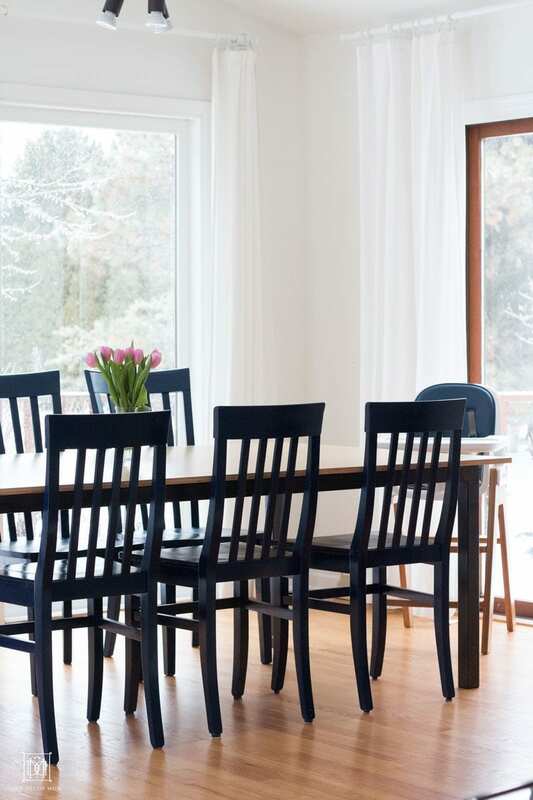 But first, let me ask you a question: Do your kitchen chairs have cushions? Our’s don’t and we are perfectly fine eating long dinners in them. Ask the same question about your high chair. Do you really need a super cozy cushion? Chances are, probably not. 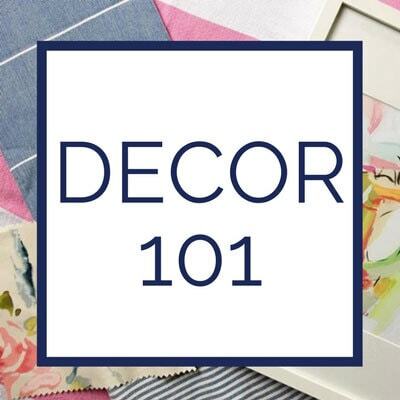 If you really want a high chair with a cushion, then make sure it doesn’t have too many creases, it can easily come off to be washed and is wipeable fabric. Our new high chair from OXO which we bought at buybuy BABY has easy-to-remove cushions that are easy to clean! Since high chairs are generally “high” they tend to have a wider footprint on the floor to provide stability. Long legs and a wide footprint can lead to tripping and a harder time cleaning. 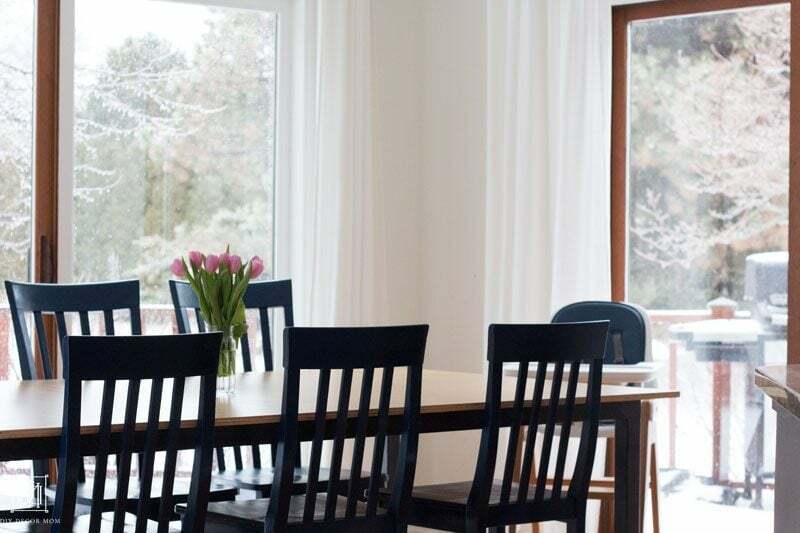 I generally like to avoid high chairs that have a bar across the floor because I vacuum and wash the floors so often and don’t want to have to work around the two bars that rest on the floor and can collect dust and food grime. 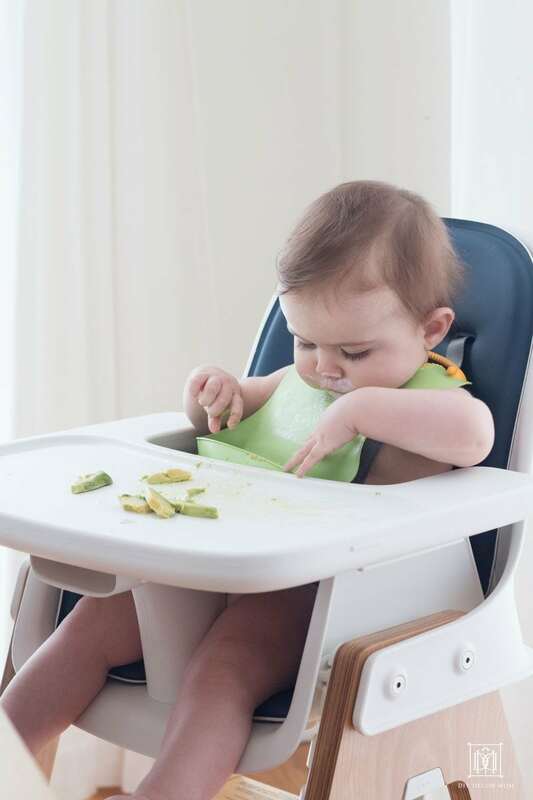 While a travel high chair is nice, like our Inglesina, make sure your countertop can accommodate it–there needs to be sufficient overhang for the clamps to lock onto. Also, it is not the easiest chair to clean. While it is washable, it is rather cumbersome to get all the food out of the creases and to wash the fabric. I’m going to be honest. 99% of the time I don’t often actually remove the tray. And never have I ever in all my years of nannying (four years) and parenting (five years) have I put a tray in the dishwasher. 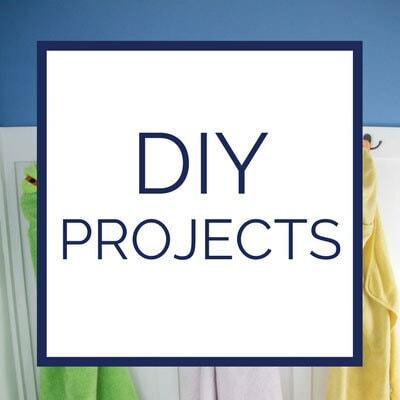 Even though many high chairs market their trays as being dishwasher safe, or at least having an add-on tray that is dishwasher safe, I find washing them by hand in the sink is easier: Trays are big, clunky and take up a ton of room in the dishwasher. 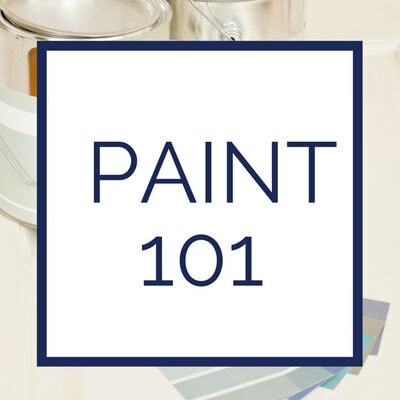 Most of the time, I wipe down the tray in place with a damp microfiber cloth making sure to get the sides of the tray, the top of the tray and the seat cushion. What about the removable trays? Well, we threw those out. They only covered a portion of the actual tray and if I am washing both of them, why not just wash one and be done with the second? 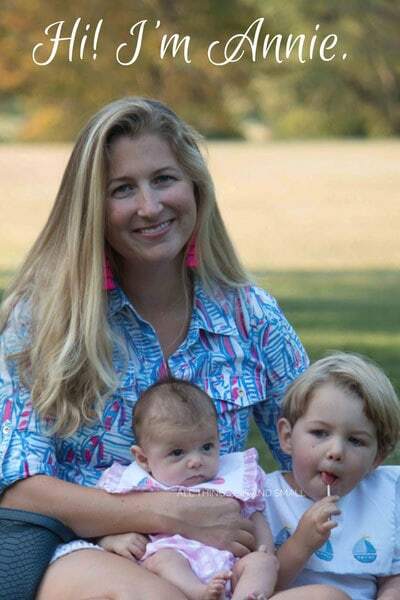 There you have it, the most important things to look for in an easy to clean high chair from a mom of three who has cleaned up more than her fair share of high chairs! PIN ME SO YOU REMEMBER THIS POST LATER! When is comes to baby high chair is very important item. One should make sure that he/she is buys the high chairs which are easy to clean or else it going to be very hard to clean the mess. Amazing ! I am searching best portable high chair to make my travel time easy and comfortable with my little one. Really helpful guide to keep it clean which is really important for baby health. Thanks for sharing such a helpful guideline. Thanks so much Marria! Yes, we love this portable high chair!